I saw Tyler Pill’s big-league debut last night. Or at least, I thought I did. At some point, maybe when the grounds crew came out to fix the mound in the 12th inning and I realized my life had entered a surreal state of impartial observation, I realized I was seeing much more than that. For his part, Pill was excellent, with the caveat that it doesn’t seem all too hard to be excellent against this Brewers offense. Tyler Pill seems, at this early stage, the proverbial pitcher who knows how to pitch: with a fastball that sits 87-90 miles per hour, he induces soft contact and hits the corners. Even from my seat right behind home plate, cheaply procured out of a confluence of rain and it being a Tuesday night game against the Brewers, I could almost hear Keith sighing in satisfaction. Throw in Neil Walker’s 1000th career hit, and it was shaping up like a classic feel-good win. But the story doesn’t end there, because with the Mets, it never does. Asdrubal Cabrera, they say, has no range, but great hands. Unfortunately, it appears, the lack of range is becoming more pronounced by the day, while the proficiency of the hands is diminishing in importance. With two men on, Asdrubal lost a mile-high pop up in the mist, and two Brewers came around to score, tying the game at four. So Tyler Pill would not win his starting debut, a game he’d left with a lead and a good feeling. In fact, for the longest time, it was unclear who would win Tyler Pill’s debut, beyond my fairly confident assertion, made regularly starting in the sixth inning, that it would not be Neil Ramirez. Not that he wouldn’t pitch — I hear Terry’s a big fan — but that even if he did, he wouldn’t come away with a win. He didn’t, thankfully. Blevins finished his inning. Edgin worked a worry-free frame. Reed, looking like his old self again, breezed through the ninth. The Brewers were breezing too. They trotted out two relievers with ERAs under 2.00 and strikeout rates through the roof — you know, the kind we can never seem to find — who shut us down easily. Terry forgot to make a double-switch. Our bats were failing. It would be baseball justice, I thought, if Asdrubal Cabrera could redeem his error with a key hit, even a walk-off home run. Twice, he had chances. Twice, he failed. Ah, well. You know what they say about baseball: you can always try again tomorrow. So in came Smoker for an emergency stint in avoiding Neil Ramirez, and he pitched like all mediocre relievers do in these situations. It’s a storyline right out of a children’s book: no one else can pitch, so the last guy comes in, and wins the game on nothing but heart and grit. It’s cliched, maybe. Simplistic. Except, Smoker did it. So we reached the aforementioned mound work, which did indeed seem to work, and Smoker kept right on chugging through the 12th. T.J. Rivera pinch-hit for him in the bottom of the inning, and singled. Conforto walked behind him. Reyes failed twice to put down a sac bunt, but then hit a slow grounder to first that fulfilled the same function. So it came down to Jay Bruce, long time outcast, recent returner to good graces, sudden possessor of moderate offensive competence. A fly ball of any kind of depth would win the game, even though Terry, presumably distracted, had declined to pinch-run Juan Lagares for Rivera at third. Bruce, it seems, realized this as well. Bruce hit a shot. It evaded every infielder in the vicinity and touched down on the outfield grass. Rivera trotted home with the winning run, and Tyler Pill’s debut ended in a win, if not a strictly individual one. As we left the stands, Bruce was being interviewed on the field. For his heroic, gritty three scoreless innings, Smoker was awarded the postgame crown. Baseball justice? Kind of. Not unjust, in any case. “Well-earned win for Smoker,” my friend said as we walked down the steps out of Citi Field. Smoker? Did you mean Pill? Should you mean Pill? Meh. It’s done. No use relitigating the past. A well-earned win, that’s first, foremost, and true. Who earned it is a separate matter, and a less important one. But it was well-earned nonetheless. No matter how you sliced it, the summer of 2009 was not a good one for me. First came Swine Flu, which, if you were at summer camp seven hours from home, was no mean feat to deal with. I awoke one morning and staggered out the cabin door, into the wind blowing in from the lake. “Hold on, Jimbo,” he said. Then I threw up on the stairs. I returned happy and healthy a week later. A few days after that, on the eve of Visiting Day, our group leader, having decided that our space was unfit for parental viewing, ordered us to begin a mass garbage pickup. I was kneeling near the stairs removing trash from the mulch when something hit me in the back of the head. In a twist of fate that to this day defies logic, a fellow member of my group had, seconds before, lost a ping pong match. In his anger, he’d flung his paddle in the air. It had soared over the cabin and landed, in optimal skull crushing position, on my head. When my parents arrived the next day, they’d already been told what had happened, but the two staples plainly protruding from my head still couldn’t have been fun to look at. But one week later, I had put all that behind me: we were in Bar Harbor, the annual trip for our age group, and we were having the time of our lives. We stayed up late the last night of the trip, huddled around a dying fire cooking increasingly ineffective s’mores. Eventually, the counselors enforced authority and sent us off to bed. When I awoke, I was in the hospital. A seizure, they told me. Here, take these pills. Let me put in this IV drip, there you go. Now go to sleep. I did. I remember turning on the Red Sox game, just after its 7:10 start, and then waking up after 9:00 the next morning. It remains the longest I’ve ever slept. Of course, had I known what was coming to me, I might not have been quite so relaxed. While I was making this sizable entry on my health history form, my ball club, brought low by multiple injuries of their own, was foundering. And it wasn’t just injuries, either: something had happened to David Wright’s power. Wright was my favorite player then; today, seven years later, we’ve both been through our share of ups and downs, but that hasn’t changed. He’d been my favorite since just about the first time I’d seen him, in August 2004, when he lined out to short in his first at-bat; he’d remained my baseball hero through four seasons of next-to-Godliness. He could do everything: he could hit, hit for power, field, throw, and run. In fact, with two Gold Gloves, four seasons batting over .300, and membership in the 30/30 club, there was quantifiable proof that he was exemplary at each of these things. As my baseball hero, I did my best to emulate Wright: I played third base in little league, and wore number five. My glove was the David Wright game model, the $20 Wilson knockoff, which I would later give up, after a particularly generous haul of birthday presents, for the game model A2K. Posters from the pages of Mets Magazine and Sports Illustrated Kids covered the walls of my room, and Wright was represented multiple times. But as the 2009 season reached the Summer, the Mets chugging along with a losing record, it was clear: something had gone wrong. Like my summer, multiple things had failed for him — one could have been handled, but three were too many. First, Wright moved into a new ballpark — a stadium of ridiculous, almost comedic proportions. “It’s a damn joke,” a teammate grumbled. Wright, of course, didn’t complain: as a matter of course, he doesn’t. 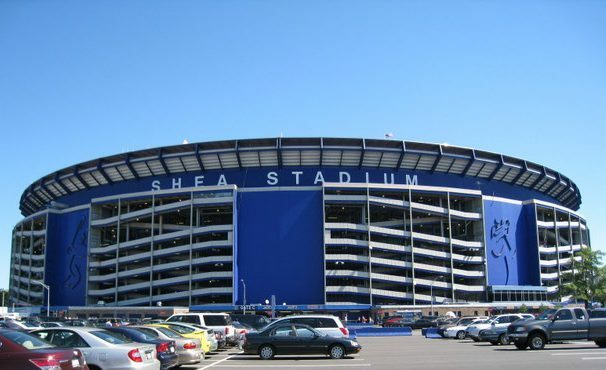 But Citi Field was not Shea Stadium, where he’d had his glory years. It was far, far bigger. Then Wright lost his protection in the lineup. With Mets dropping like flies, pitchers could attack him with impunity. He worked to fight it off, but his exposure in the lineup proved another problem. Then finally, in August of that year, days after I returned home, Wright was batting against Matt Cain of the Giants. For me, it had been a seizure that had landed the knockout punch. For Wright, it was a fastball to the head. He was down for two minutes. Then, with help from the trainer, he stood and walked off the field. Wright returned to the lineup on September first, as if nothing had happened. But seizures and beanings have a way of making bad situations worse. Around the time that Wright was returning to the lineup a few weeks later, blissfully unaware that the course of his career had been fundamentally diverted, I was at an appointment with a neurologist, learning that I would be put on medication. It was a small pill, only 500 milligrams. I would take it every night at 8:00. Pretty simple. Every summer, I had another seizure, and every summer, the dosage went up. That didn’t work. So they decided to do it again. “We’ve got some athletes, some really big guys, they’re on much more than this,” he said nonchalantly as he added a third pill to get to 1500 milligrams. I was about five feet tall at the time, with the build of a chopstick. It was a simple, cause-and-effect relationship. The cause was my annual summer seizure. The effect was a 500 milligram increase. It never failed. If they did, they didn’t let on. My dosage crept up until it reached 2500 milligrams plus a vitamin supplement, five pills in total. Also at the first appointment, in late summer 2009, I began undergoing testing for brain activity, a truly onerous process was equally mentally and physically debilitating. I would go into the office. In a back room, a technician would smear my head with sticky, superconducting paste. On top of that, he’d attach metal nodes with surgical tape. He’d secure the whole apparatus with a turban of gauze, and plug the wires protruding from my head into a storage bank, which went in a bag that I carried over my shoulder. He would turn on a bright, flashing light and direct it into my eyes. Then he’d hand me a pinwheel. “Breathe as quickly as you can,” he’d say. And I would. I would hyperventilate into the pinwheel, making it spin as quickly as I could while the light flashed in front of me, breathing myself to the point of light-headedness, until he told me to stop and I collapsed backwards in the chair. Then I was free to go, but unable to do much else. With wires still running from my head to the bag over my shoulder, I couldn’t run or throw, sit comfortably or appear in public. It was a constant battle of adjustments, scratching the tape that came down over my ears, picking at the nodes that, for some reason, were be taped on my chest, lying in bed trying to fall asleep with a bag on my shoulder and a mass of metal and gauze on my head. And I would go back to the office the next morning, and have the device removed. And a few weeks later, we’d go in for a follow-up appointment. The results were always the same. Is this even worth it, I sometimes wondered? But even as the results failed to change, I kept going back. I was going to beat epilepsy — beat it squarely, and leave no doubt that it had tried to knock me down, but it had failed. In 2010, and the years that followed, David Wright became an enigma, a fuzzy projection of his former self. Sometimes, the Wright of the glory years was visible. And other times, through a haze of back and shoulder pain, you could barely remember who he’d once been. Wright and I went through our good times and bad. From the beginning of the 2012 season to August of 2013, Wright played like the superstar of old. After 2012, he earned himself a new contract, assuring that he would remain in New York longer than almost anyone else has, and hold almost every record of note to anyone who’s watching. Then, of course, his hard-working style of play did him in again. On August third, 2013, busting down the line to beat out an infield hit (despite everything else, he was safe), he pulled his hamstring, ending what remains the last star season of his career. Just a week later, a seizure ended my one year streak — on the last night of camp, this time working as a counselor, I awoke in the hospital once again. But with the end of Wright’s two year, renewed burst of stardom, I’d apparently earned some luck of my own. Summer 2014 came and went without so much as an involuntary flick of the wrist, my fortunes on the upswing even as Wright suffered through another parade of injuries. One year was down, and it might as well have been two, since if anything was going to happen, it would almost certainly wait until summer. Summer 2015 was the benchmark, the magic number. Two years seizure free is an important point: the possibilities open up. After two years and a clean brain scan, you become eligible to take a driving test. You begin the process of weaning from medication. And eventually, you might just be declared epilepsy-free. It would all come down to the summer of 2015 — for both of us. “I’m going to give everything I have out there to bring a championship back to Queens,” Wright said at a December 2012 press conference. The conference had been called to announce Wright’s eight year contract extension, the largest in Mets history. It would keep him in New York through the 2020 season. Mets fans like to complain about David Wright: he’s injured too much, he’s overrated, he’s old, he’s washed up, he should just retire already. Me, I just don’t get it. Wright is a good player — that much is obvious — but more than that, he’s so clearly a good person. Sure, he may have had some of the worst lucky any ballplayer ever has: does that somehow detract from all he’s given to his team? I would say not; you decide. He’s been unlucky, among players. As fans, being able to watch him, listen to him, experience a team that he captains, we’ve been, perhaps, among the luckiest. As 2015 began, it seemed that Wright’s promise would finally come true. The Mets had put the pieces together: now, if they could just make them work, a championship could very well be within reach. On April 14th, Wright slid into second and tweaked his hamstring. What started off as a mild injury worsened, and Wright couldn’t play through the pain. It was Spinal Stenosis, a narrowing of the spinal cord, an injury that has, in the past, ended players’ careers. Wright would go on to miss 115 games. There went the summer of 2015 for one of us. He was beyond eager to get back on the field, but the injury was unwilling to heal. He visited a back specialist in Los Angeles every week for months, but the verdict was always the same. No change. They worked with treatments; maybe, they thought, if they just did more of what they were doing, it would accelerate the healing process. And what was more, they would try to protect him from future injuries by increasing all the protection he’d worn before. And as the summer began, and Wright’s weekly diagnoses of wait-and-see-and-come-back-later refused to improve, a new thought entered my mind, one that I suppose had been fermenting for years, but was now exposed as the equivalencies became obvious. On July 4th, in a summer tradition, our campers took a trip to our sister camp for some dancing — which you’d believe was purely friendly, if you avoided the older groups — and then a fireworks show. I was one of the chaperones. Already the outcome is obvious. What do you get an epileptic for Christmas? I’d been through this event before, but this time, the pyrotechnicians had upgraded their act. The explosions were louder; the flashes brighter. And everyone but me was absolutely thrilled. I woke up early the next morning in the infirmary, a nearly two year streak at an end. There went summer of 2015 for both of us. David Wright wasn’t on my mind as I entered Citi Field on May 27th, 2016, and saw his name displayed in the starting lineup. Chase Utley was. He was returning to Queens after breaking Ruben Tejada’s leg, and — I hoped — he would be made to look foolish, one way or another. I made my way to my seat behind first base in the upper deck and sat down. Jacob deGrom was on the hill. Among Mets starters, deGrom must be among the top two or three I’ve ever seen. It’s amazing what you take for granted when you’ve got a strong pitching staff — because I remembered, ten years earlier, sitting in the stands at Shea and watching Dave Williams pitch. We’d won that game too. Wright had been 24; I’d been 9; Wright probably hadn’t known the word “stenosis;” I hadn’t known what epilepsy meant, or been concerned about missing my bedtime. Those had been happier times for both of us. But I’d gotten through it all, and now, despite seizures, invasive tests, and emergency medicines whose potential administrations I didn’t even want to imagine, I was back in the stands, happy as could be, the first of three games in three days. You’d hardly have known me for an epileptic. And Wright had made it as well; on the field below, he took grounders, not betraying even a hint of pain or stiffness. I knew he was being bothered by a neck issue, but it was invisible: he was out there, playing the children’s game as if he was overjoyed to have the chance to do so, which he probably was. If you’d stayed away from the news, you’d have sworn he was 24 years old again, never injured in his life. We’d been through obstacle after obstacle suddenly thrown into our paths in 2009, and increased treatment that had never seemed to work as the years went on. We’d each had our two year streaks, one after the other, that ultimately had failed to last. And we’d each lost our chance at redemption in the summer of 2015. But neither of us had let it get in our way. Wright hadn’t let his 115 game absence affect him — the Spinal Stenosis that had tried to knock him down had failed. With the first swing he’d taken after four and a half months of excruciatingly patient recovery, he’d homered into the upper deck in Philadelphia. In the division clincher against the Reds, he’d homered in the eighth to ice the win, and I’d shed a tear as he’d rounded the bases. And a month later, he’d hit the first World Series home run of his career. And me — well, I was back as well. I hadn’t let the crushing loss of my near two-year stretch get to me either. I’d finished out the summer working at camp. I’d gone off to school and continued to prove wrong the neurologist who constantly worried that epilepsy could affect my learning ability. And now, I was back at Citi Field. “I take positives out of negatives all the time,” Wright once said, and whether consciously or not, I’d been inspired by the same sentiment. I’d used epilepsy as a conversation starter and a punch-line, an excuse to stay in or go out, and once, not that I’m particularly proud of this, to win over the judges in a debate. Was I studying up on David Wright, spending my free time learning his quotes and analyzing his suitability as a role model? Of course not. But the way he played rubbed off — I could always tell. I saw it in the way he hustled down the line to first when others jogged, or always fielded the ball with two hands before throwing, just like you were supposed to. He played the game the right way, and lived his life the right way too. And that meant getting back up when things went wrong. And for that same reason, with the spirit I built up playing third base on little league fields and carried through one neurological problem after another, after waking up early on the morning of July 5th to find my two year stretch scuttled and all thoughts of finally returning to normalcy ruined, I pulled myself out of the infirmary bed and got down to the ropes course to work by the time first period started. Really, it’s a different Wright quote that defined my attitude towards what I’ve come to see as the minor inconvenience of epilepsy. “Whether you have a great game or a terrible game, tomorrow’s another day and you’ve got to come out here and compete,” he once said. He was David Wright, my hero since 2004, and a fellow piece of damaged goods since 2009. I’d watched him work back from injury to play again while I’d adjusted to medication, and then, having ended a seizure-free stretch in crushing fashion, I’d shrugged it off and started a new one, just as I’d watched him go through the same process I’d been going through since 2009, in increments of weeks instead of six months. But as Wright once said, tomorrow’s another day, and you’ve got to come out here and compete. After bad times for both of us, he’d come back to beat Spinal Stenosis, and I’d come from behind to declare that epilepsy would not rule my life after all. Baseball heroes can teach a seven year old how to field a grounder, and David Wright did just that. But he also taught a twelve year old that malady was not permanent, and that with determination, a return to normalcy, whether the norm was a .300 batting average or a driver’s license, was within reach. Both were important. But lots of players can field grounders. For resilience, determination, and recovery, David Wright alone set the standard that I followed. David Wright has by no means vanished from my life, or my room. I’ve got a poster of his on one wall, and a giant foam cutout of his face on another. In my closet, I’ve got a blue WRIGHT #5 jersey, the first one I ever bought: somehow, it still fits perfectly. As I type, I’m wearing a gray WRIGHT #5 t-shirt. I don’t expect David Wright to always be a star, or to hit every time up: nobody does that. David Wright isn’t Ted Williams; few people are. Then again, did Ted Williams ever spend time with sick children? Did Ted Williams’ smile ever light up a room? I thought not. Ted Williams did, on the other hand, give the ballgame in front of him absolutely everything he had, every time he took the field. That’s what I expect from ballplayers; from David Wright more than any of them. So far, he hasn’t disappointed. That day, deGrom pitching against the Dodgers, was no exception. Wright struck out in the first, then flied deep to center in the second. The highlight of the game, at that point, was Chase Utley being thrown out stealing. In the bottom of the fourth, Wright came up with two outs. And on the third pitch of the at-bat, he took the swing we’ve all grown to love. The ball shot towards right-center. “Get out!” I shouted. It kept flying. Joc Pedersen turned around. And finally, the ball landed, ten feet over the right-centerfield fence. It was Wright’s seventh home run of the season, and the 242nd of his career. And at the time, it wasn’t even the most memorable one of the night. I went down to the field level in the top of the ninth to watch Jeurys Familia seal it up. I should have stayed put. Up 5-1, he gave up a run, and loaded the bases. Utley was up. I knew what was going to happen. It did. The ball rolled up the gap, towards the right-center field fence where Wright had homered five innings before. “That’s going to tie the game,” I said offhandedly to the stranger standing next to me, craning my neck over four layers of fans to watch the ball that I already knew Granderson wouldn’t get to in time. Then, the bottom of the ninth, and one of those endings you just can’t predict: Curtis Granderson led off. He hit the second pitch he saw out of sight — or, rather, out of view, because I could barely see anything. I watched the sliver of the right-field corner that I could see. Seconds later, the ball landed in the stands. Fair. Ballgame over. Granderson, in the immediate aftermath, was the hero of that game, deGrom second, Wright, probably a distant third. It took a long time for things to change. It was only when Wright hit the disabled list a few days later; when his absence was extended from weeks to months to indefinite; when his readiness for the 2017 season came into question, then became a thing of the past; that I realized that the shot he’d hit over the right-centerfield fence as I’d watched was the last home run he’d hit. Have I seen the last home run of David Wright’s long, storied, utterly beautiful career? I don’t know; I have a sneaking suspicion that I haven’t. David Wright has never been one for involuntary exits. Every time he’s been knocked down, he’s come back, often with a monstrous home run. David will be back, and he will play again in orange and blue. And if I’m wrong…well, I’ll be devastated. We all will. But I won’t fault him. He’s our captain. He’s already done enough.